Whey protein has an extremely high biological value (BV). BV is an attempt to measure how efficiently protein is used in the body. 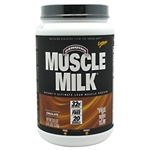 It also has an exceptionally high Branch Chain Amino Acid (BCAA) content. It mixes really well in liquids and is fast-acting, meaning that it is released very rapidly into the body. This is really important right after your workout. At this time you have about a thirty minute "window" of opportunity to supply protein to your muscles when much of your repair and recovery occurs. Whey protein comes in concentrates and isolates Terms like ultrafiltration, ion-exchange, microfiltration and nanofiltration refer to the methods used to seperate and process whey. Isolates contain as much as 90-96 percent protein depending on how it is processed. If your concern is simply how much actual protein you're getting per serving, isolates would seem to be the logical choice, but hold on. Today's concentrates contain anywhere from 70-80 percent protein. This may seem much less than isolates, but concentrates contain many other compounds not found in isolates. Good concentrates contain far higher levels of growth factors, such as IGF-1, TGF-ß1, and TGF-ß2. They contain much higher levels of various phospho lipids, and various bio active lipids, such as Conjugated Linoleic Acid (CLA), and they often contain higher levels of immunoglobulins and lactoferrin. These compounds can have a beneficial effect on both athletes and regular people. The important thing to consider is the fact that when we talk about whey we are actually referring to a complex protein made up of many smaller protein subfractions. Those subfractions are what make whey so unique. In isolates, the protein content is higher, but most of the health promoting components are depleted. This is not to say that concentrates are better than isolates, it just gives you more information to form your strategy. Protein Infused Peanut Spread. Non-GMO, Low Sodium, Whey Protein Isolate. Protein Infused Peanut Spread. Non-GMO, Low Sodium, Whey Protein Isolate. Protein Infused Peanut Spread. Non-GMO, Low Sodium, Whey Protein Isolate. Protein Infused Almond Spread. Non-GMO, Low Sodium, Whey Protein Isolate. SUPER AMINO 6000 180 CAPLETS Protein Infused Peanut Powder. Non-GMO, Low Sodium, Whey Protein Isolate. Mix with water for a great tasting spread or add to your favorite recipe.